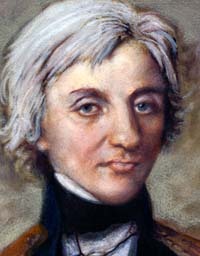 At the heart of the design of Nelson & Emma is an intention to show alternative perspectives about the events that transpire and to give life to the odd coincidence that love and war are tied closely together in both the affairs of the gods and the affairs of mortals. 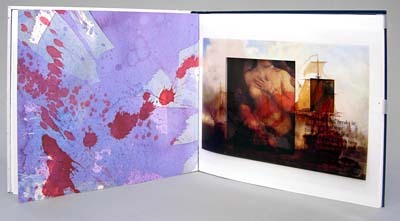 NELSON & EMMA has been made as a limited edition of thirty-five copies during the fall and winter of 2007-2008. 41 pages. 10 ? x 11 ? x 1 inches. Publication Price $2,750. 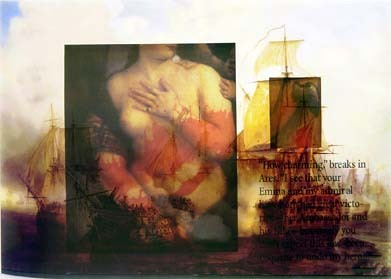 The cover of the book contains a lenticular photograph of an age-of-sail battle scene overlayed with a painting of Aphrodite by Titian who looms over the battle. The lenticular photograph shifts the view between the two images as the cover is tilted. 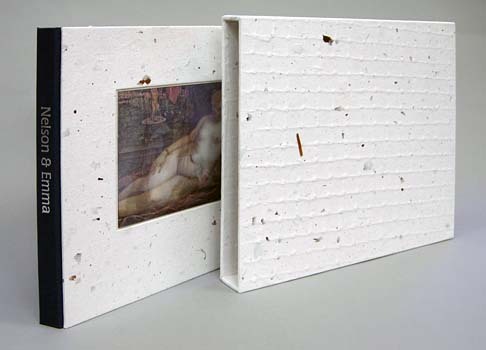 The cover and slipcase have been covered in a mouldmade paper called Canal made in Quebec that has been embossed with a pattern of netting for the slipcase. 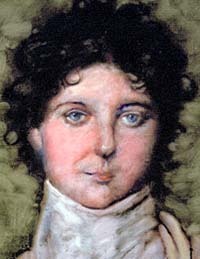 The frontispiece images of Nelson and Emma have been made as two-layer monotype portraits which have been reproduced as high-resolution digital prints on transparent film. 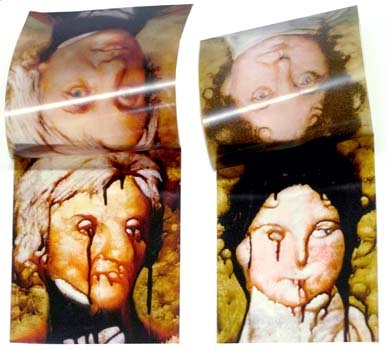 They have been hinged so as to permit the top image to be lifted away to reveal a more disquieting view of each. 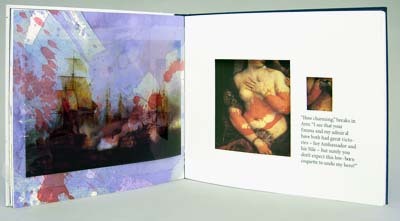 a Renaissance-era painting of Aphrodite colored with acrylic wash; and a page with cutout windows. 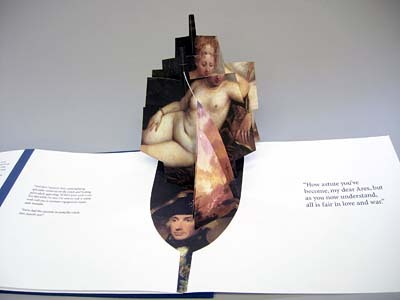 The book concludes with a pop-up square-rigged vessel containing the images of Admiral Nelson and Aphrodite.